Chiang Mai, commonly seen as one of the most culturally significant cities in Thailand is a sure fit for those who love a laid-back city adventure. She sings the songs of her traditional ways, with street vendors, trolley wagons, and a sea of markets, yet keeps you on your toes with a lively night scene. The name pretty much says it all. Centrally located in Old Town, Good Morning Chiang Mai offers eclectic boutique charm for exceptional value. With only 24 rooms, you are welcomed like family. Rooms are extremely spacious and updated with warm presence of Thailand charm. The boutique is set on a lush ground of greenery with a beautiful salt-water pool to relax in after those big city ventures. A quaint bar and daily massage studio is also conveniently available on site. Included in your stay you will also receive a made to order breakfast complete with freshly squeezed orange juice and coffee in their beautiful indoor/outdoor restaurant. 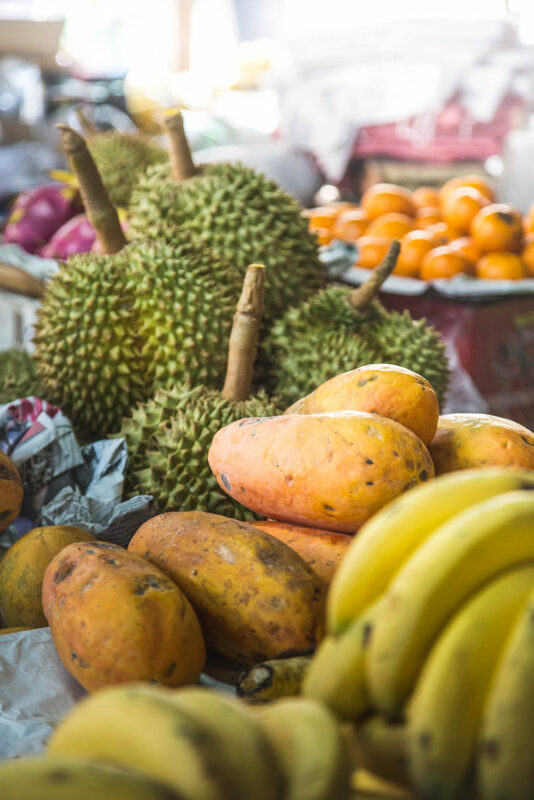 EAT: With the abundance of vendors, markets, and restaurants, eating in Chiang Mai is something that you do often, with ease and in total food bliss. A Taste From Heaven: Large menu with all vegetarian/vegan choices. You would seriously never know this place is meatless. The Hideout: Full bodied fresh coffee, healthy sandwiches and lunch menu made with all local fresh ingredients. The Coffee Bull: Be sure to take your shoes off at the door for this charming Thai cafe. Perfect for people watching, this little coffee stop is bursting with rustic Thai charm. TRY: Drip coffee and hot cocoa. The Night Bazaar: Test your haggling skills at the night Bazaar located just outside of Old Town. This market runs every day from 6pm-11pm. Night Bazaar is THE place to buy your souvenirs, as you will find most items much cheaper than the day markets. Tip: can’t figure out how much to barter? Go for the average of 30% less than the asking price and walk away if you need to. You can usually find repeat products a few stalls down. Thai cooking class: Can’t cook? No problem! Chiang Mai offers several full and half day cooking classes that include everything from exploring the produce markets to crushing Thai chili peppers. Whether you are a praised chef or eager beginner, you will learn a thing or two about Thai culture, vegetation, and the skills to impress your friends back home. TRY: Zabb E LEE Thai cooking school. An experience in itself! What is commonly used for taxi’s can turn into a fun way to see the city in a jiff. Don’t feel like taking a day tour on a bus to see the city? Ask a Tuk Tuk driver to chauffeur you around to all the hot spots and you will be sure to see Chiang Mai the way the locals do. TIP: Always negotiate price with the Tuk Tuk drivers. It’s expected! You will find several Wat’s (temples) all over Chiang Mai. Beautiful to look at, and immensely peaceful, you will immediately feel at rest in these aging architectural wonders. VISIT: Wat Chedi Luang Varavihara. Walk around this beautiful Wat and learn about the everyday lives of monks.